Expat in Myanmar / Burma as many of us that know it. 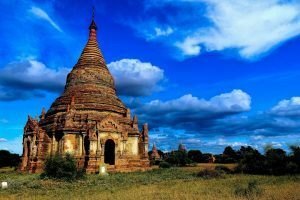 Do you live or plan to move to the Myanmar/Burma? Are you looking for regulated international portable financial advice? If you’re an Expatriate or International, living in the Myanmar/Burma and you are looking for professional expat financial advice/planning we are here to help. We are experienced and familiar with assisting expats, living and working outside of their country of origin, to address their individual financial planning and investment needs. We are cross-border international specialists, with advice provided globally from a UK regulated base. Myanmar, officially the Republic of the Union of Myanmar and known as Burma, is a sovereign state located in the Southeast Asian region. Myanmar is bordered by India and Bangladesh to its west, Thailand and Laos to its east and China to its north and northeast. To its south, about one-third of Myanmar’s total perimeter of 5,876 km forms an uninterrupted coastline of 1,930 km along the Bay of Bengal and the Andaman Sea. The country’s 2014 census counted the population to be 51 million people. Myanmar is 676,578 square kilometres in size. Its capital city is Naypyidaw, and its largest city and former capital is Yangon. Myanmar has been a member of the Association of Southeast Asian Nations since 1997. Offshore current accounts, holding bank accounts offshore can make managing your money and assets whilst you are overseas, easier to administer and gives you complete geographical flexibility. We can assist you with opening a range of current accounts offshore in any number of different base currencies. International Private Retirement Plan, expats moving from place to place with this transient lifestyle goes very much against their retirement planning. It often prevents them forming coherent financial plans over the medium-long term. Offshore portable retirement plans offer a great solution to the transient contractor who, just like their local counterpart, wishes to invest and make financial plans for his or her future. The inconvenience and disruption of needing to re-establish a new retirement plan every time you ‘country hop’ is negated by this geographically portable solution. The plan stays in the same place while you move around, and it grows tax-free the whole time, in a tax efficient investment area. Wondering how to transfer or consolidate your UK pensions (including UK frozen pensions) to the Philippines? We offer an international SIPP (Self Invested Personal Pensions) as a QROPS (Qualifying Overseas Pension Schemes) would be unsuitable for an expat in Myanmar. Do you already hold a QROP and paying heavy charges? We can also assist with the transfer to a suitable low-cost SIPP structure. By putting in place an effective, tax efficient, wealth accumulation international education savings plan you can address all the dreams and aspirations that you have for your children, with a much greater level of ease. You are not restricted from which country you can contribute or upon using the capital to withdraw/encash to pay for the education expenses. The plan stays in the same place while you move around, and it grows tax-free the whole time, in a tax efficient investment area. It can also be used to improve your retirement benefits for when you retire. Are your family protected with international expat life, income and health insurance? Harrison Brook is committed to providing private security contractors with the cheapest route to buy international insurances. Have you built up savings in your bank account? Fed up with low bank interest returns? We have a range of portable investment solutions available, ranging from fund platforms, flexible lump sum vehicles to portfolio bonds. Our portfolio management services are personalised to each client, depending on such criteria as investment term and your attitude to risk. To learn more about financial advice for expats, try our revolutionary online advice service, get started today for free, no obligation, financial analysis and information. You can speak to one of our advisers instantly or schedule an appointment to understand how we can help you while you live and work away from your country of origin.